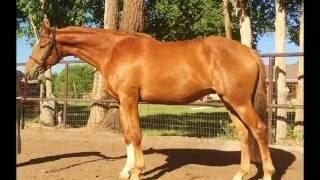 Indiana is a beautiful five year old gelding with impeccable breeding. He has phenomenal potential as a dressage or hunter prospect. He has a lofty trot and canter. Indiana is a joy to handle and loves people. 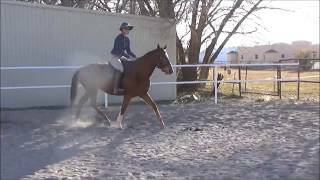 He was started in December 2016 and learns very quickly under saddle. He is very steady in the bridle and has a great brain for an amateur looking for their next partner. Indiana goes out on the trail once a week and has been hauled to other facilities.